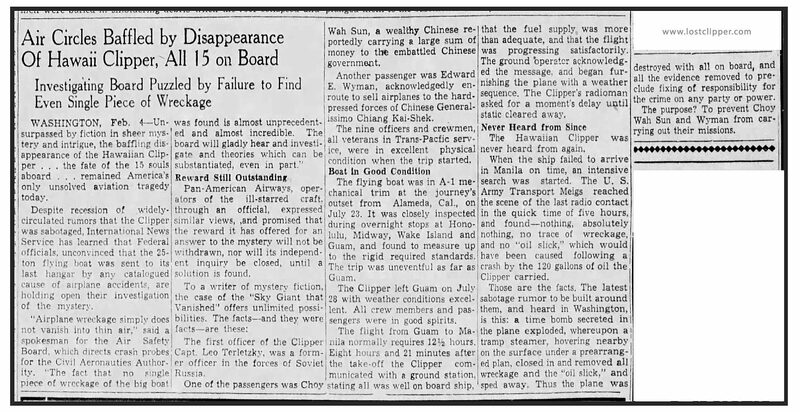 As the bold headline in the Sunday Albuquerque Journal News Paper (Feb 5, 1939) shouts “Air Circles Baffled by Disappearance of Hawaii Clipper,” so goes our investigation. In a reverse of how we normally give information to our readers – we have decided to post the Page 7 article to better give the taste of the times and how the event was trending at that time in history. Enjoy the read. If the image below does not expand, I will get the transcription version up soon. 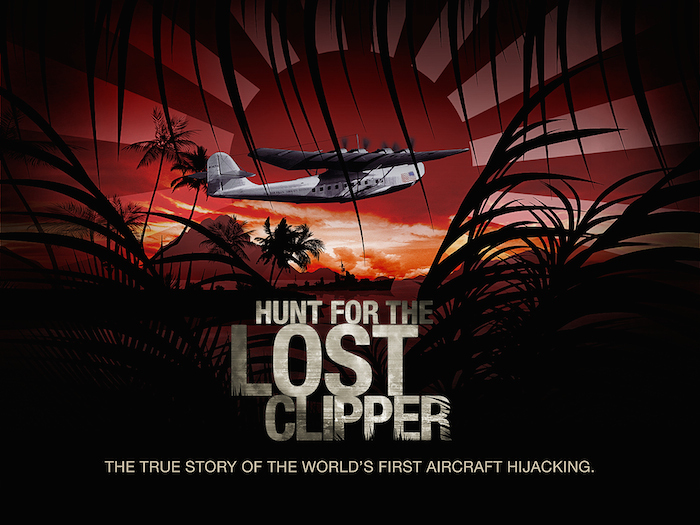 (click for larger image for better reading).